Babies are adorable, soft, squishy and cuddly, but I find that I enjoy dressing my children more as they get older and clothes start to lay on them properly. As adults, it may be more practical to wait until end of season sales (if you can help yourself), but with kids, you snooze you loose. Fortunately there are often pre-season sales that I love to take advantage of. We’ve been blessed with both a son and a daughter which gives me an even broader range of outfits that I get to put together. 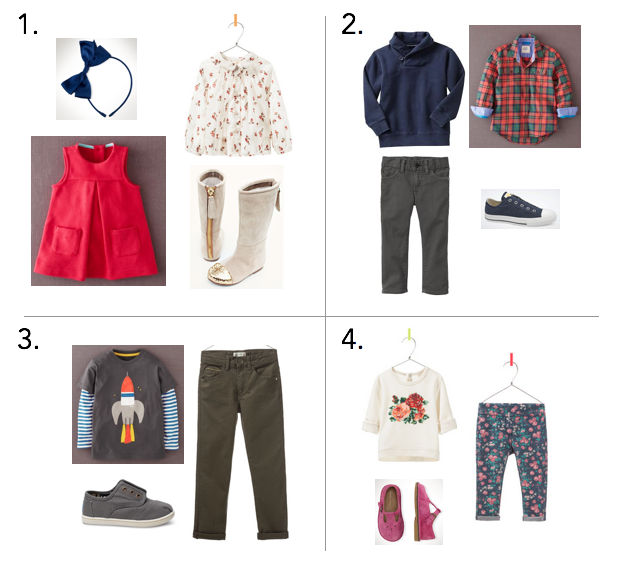 After the early baby months, I began dressing our children like mini me’s (ie my husband and myself). Not that there aren’t adorable children’s clothes, but I tend to gravitate towards dressing them like mini adults. What? Your husband wouldn’t wear a rocket-ship on his shirt? I have to also admit that I feel the same way about loving a new wardrobe for every season! They’re just so cute in all of it!